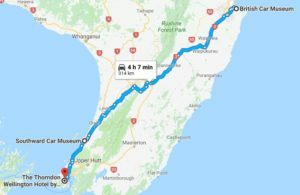 Leaving Napier, we travelled back in the direction of Wellington – heading for the Southward Car Museum. Taking around 4 hours to make the journey, we travelled mostly on State Highway 2 – where you’d normally jump onto State Highway 3, but the road was closed in July 2017 due to a large slip. Due to geological movement in the area, this road has been closed indefinitely. Instead, we crossed the bridge over the Manawatu River, and turned down Gorge Road. Man… were we in for a treat! The Fiesta was the ideal car for the road, with a very narrow, tight & twisty section of road that had you working your hands and feet constantly as you scanned the road ahead. I lost count of the number of 2nd to 3rd changes that the Fiesta did, but it was so much fun trying to hit apex after apex and maximise your entry and exit out of each and every corner. Gorge Road eventually turns into Pahiatua Aokautere Road, which leads into Aokautere – or you can turn left once reaching here and continue down State Highway 57. It’s a must-hit next time I’m in the area again. 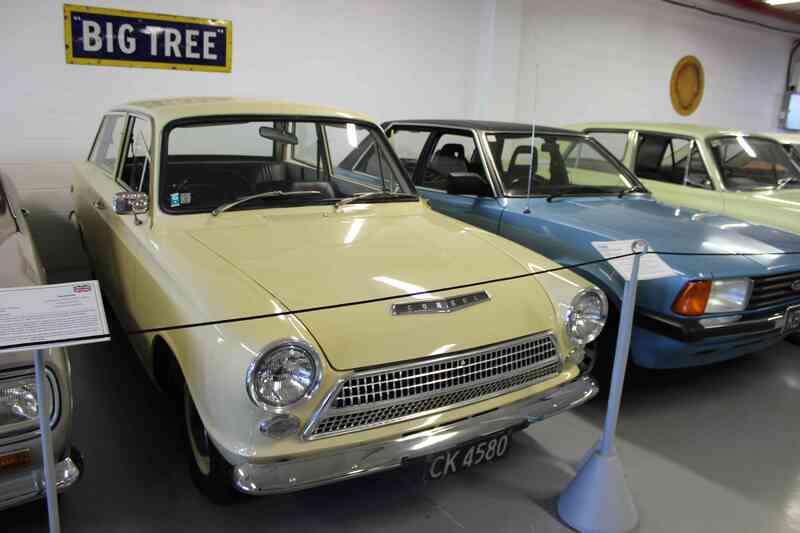 The Southward Car Museum is owned by Sir Len Southward, who began collecting cars in 1956. 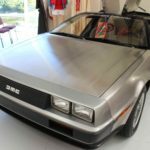 After many years collecting cars, this passion had turned into a full-time venture, and in 1979, Len opened the collection to the public in its current site. 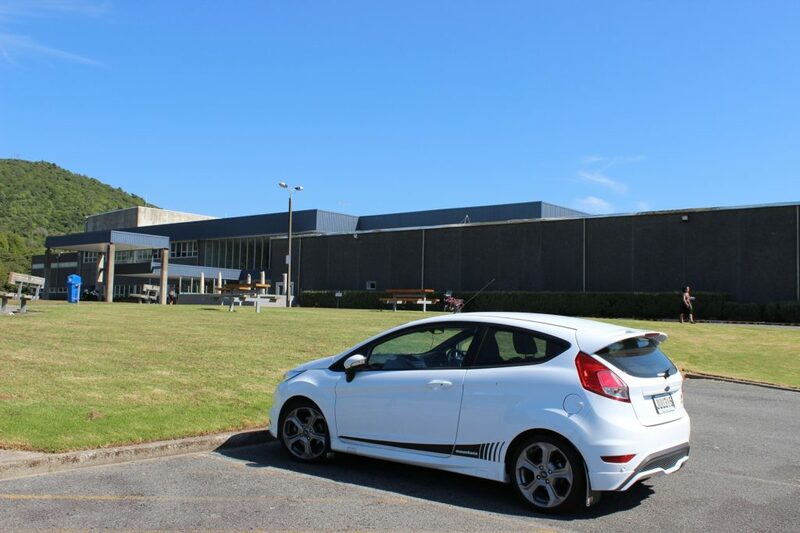 Sitting on 6 hectares of land, just off State Highway 1, the building was huge and dwarfed the Fiesta in comparison. Stepping out into the 30+ degree day did mean you were instantly sweating and making a dash to try and get yourself into some kind of shade. 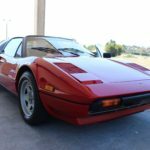 Before we entered the building, a Ferrari 308 GTS pulled up under the canopy at the front – with a couple of the employees having just detailed the car and pulled it out to get some decent photos for their own website. 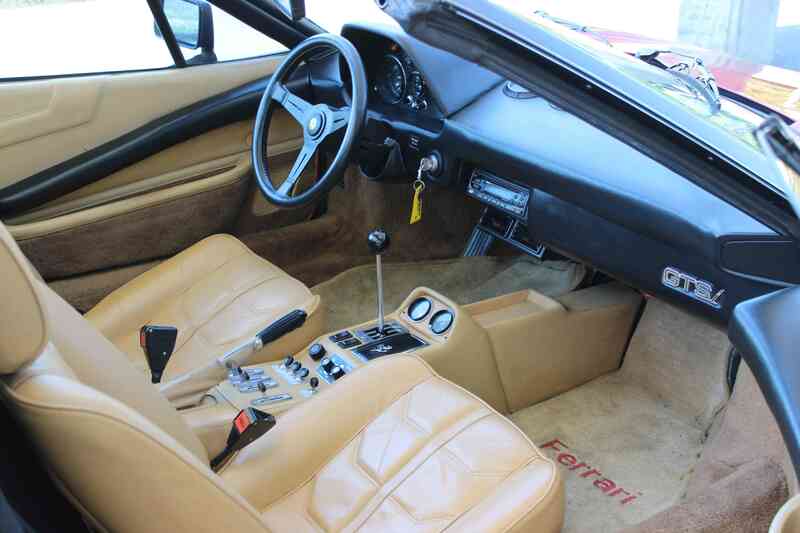 I love the interiors of these old Ferrari’s – every component from the leather-wrapped handbrake to the switch-gear, through to the detail in the leather on the seats is just perfection. Then there’s that gated shifter! Stepping inside the building, they had a few vehicles on display in the foyer. These included the very rare Carver One. 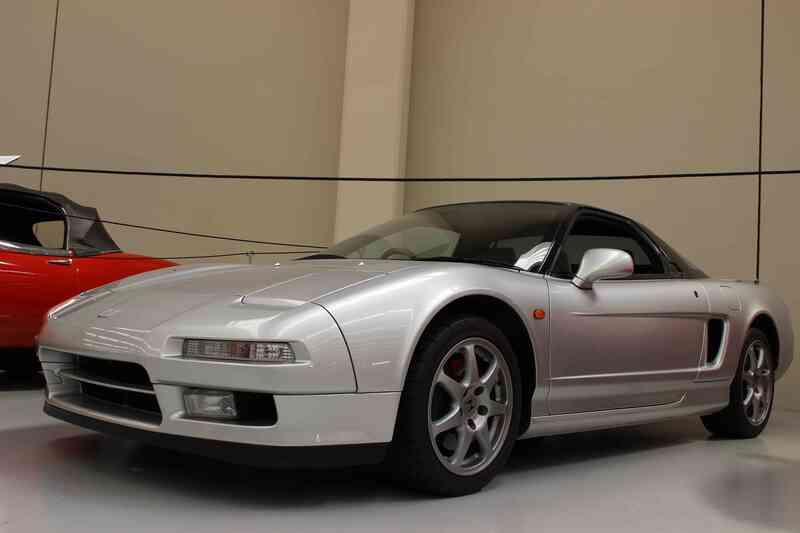 I remember seeing one of these originally tested on Top Gear back in 2002 and both Richard Hammond & Jeremy Clarkson both thought it was such a cool vehicle to drive. 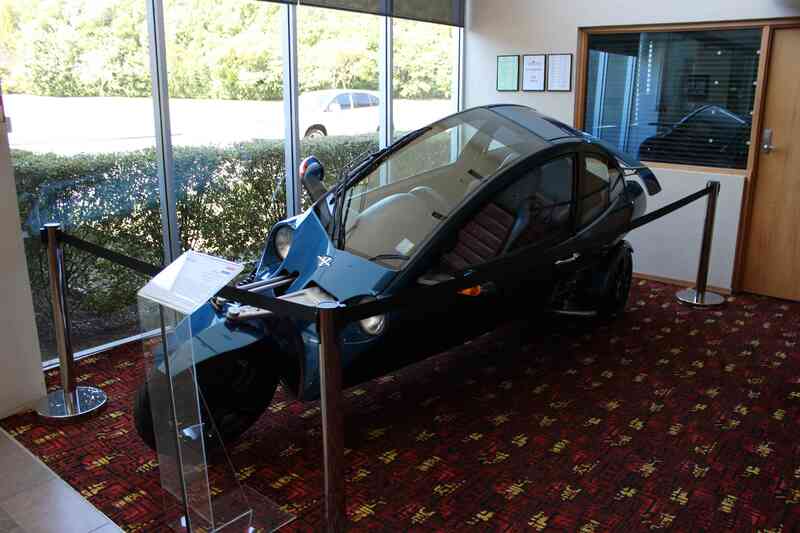 The Carver leans into corners and is capable of 185 kilometers an hour. Unfortunately, the company went bankrupt in 2009 and ceased production. 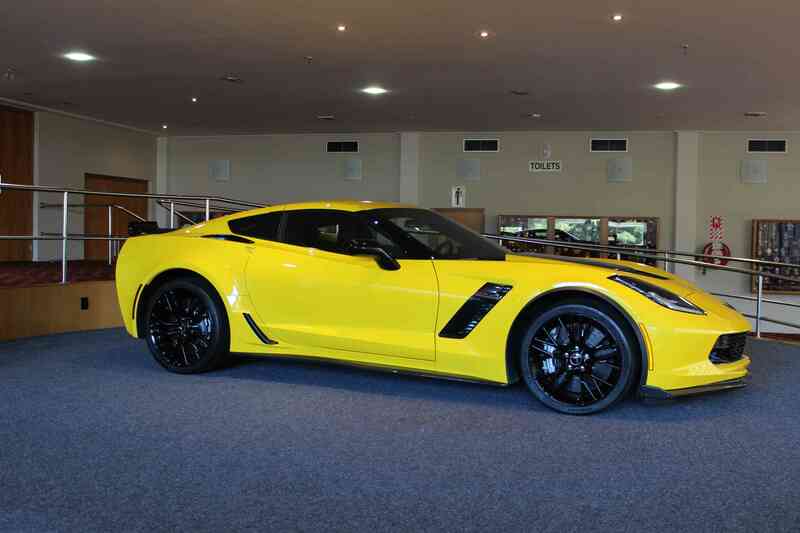 The other car on display was a Corvette Z06, which has a number of Z07 options. 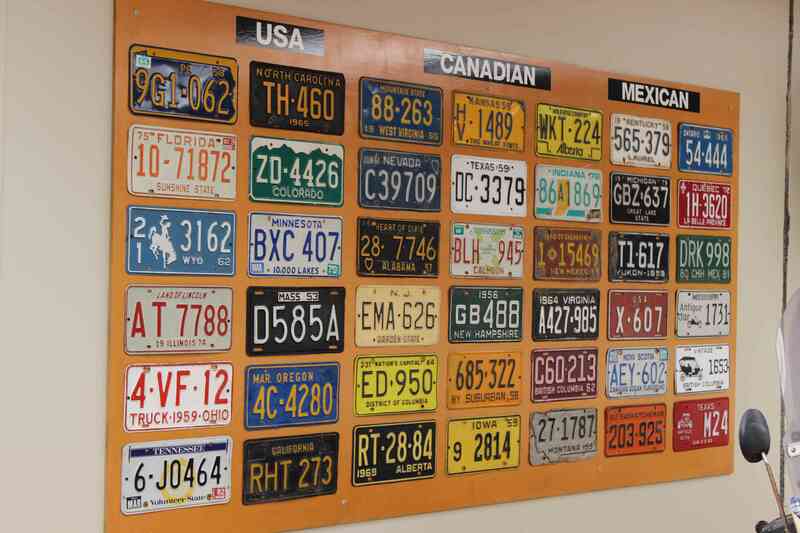 It was originally owned by a Doctor in the United States, before it was exported to New Zealand. It’s currently on display, but officially for sale if anyone is interested. I started upstairs, where you could see the main floor of the museum. Everything was spotlessly clean. 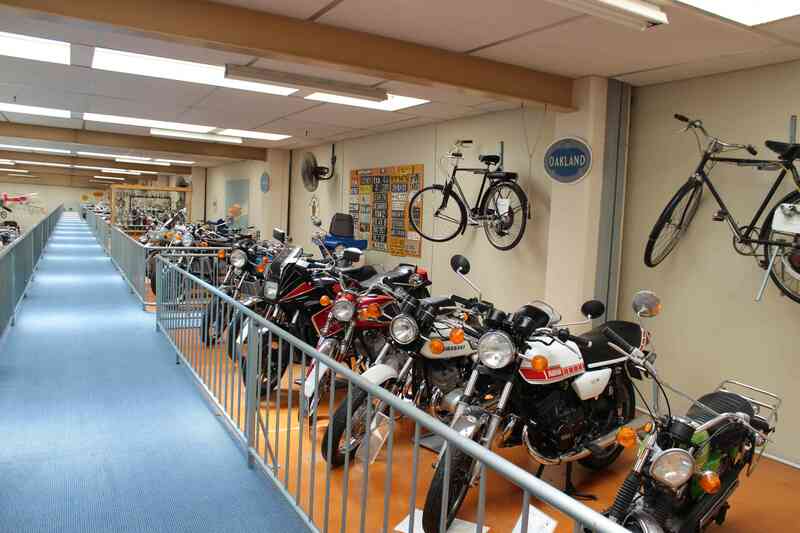 Upstairs contains a large collection of motorbikes, and a collection of license plates from all over the world. 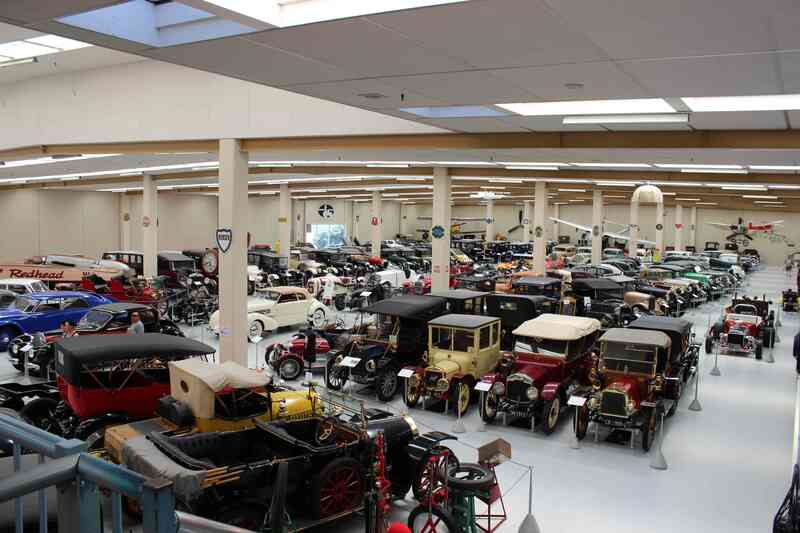 The main floor of the museum contained a number of varied makes and models spanning the last century. 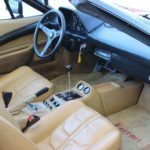 It’s hard to write about what was actually there, as there were so many spectacular cars that we’d all be here for weeks if I tried to document everything of significance. Instead, I’ll try my best to just show a handful of my favourites. Let’s start with my favourite car on this floor, the Tatra 77A. 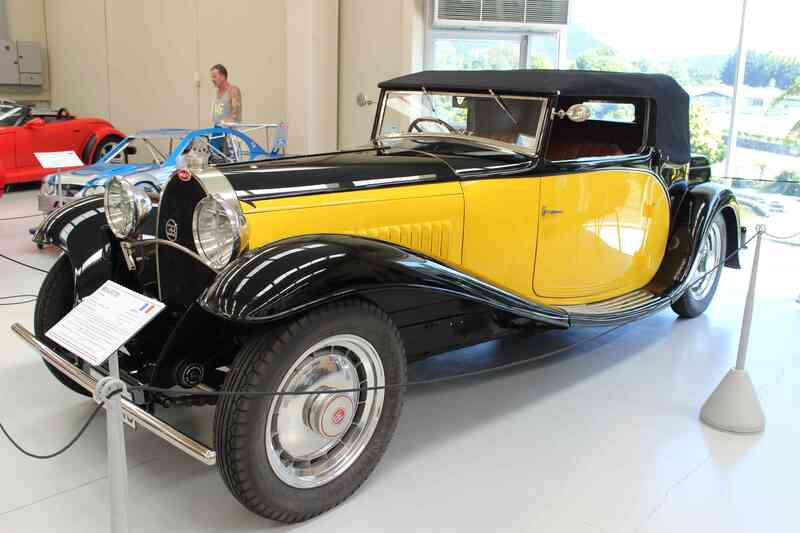 The 77 was first produced from 1934-1935 in Czech Republic, with the 77A being produced from 1935-1938. 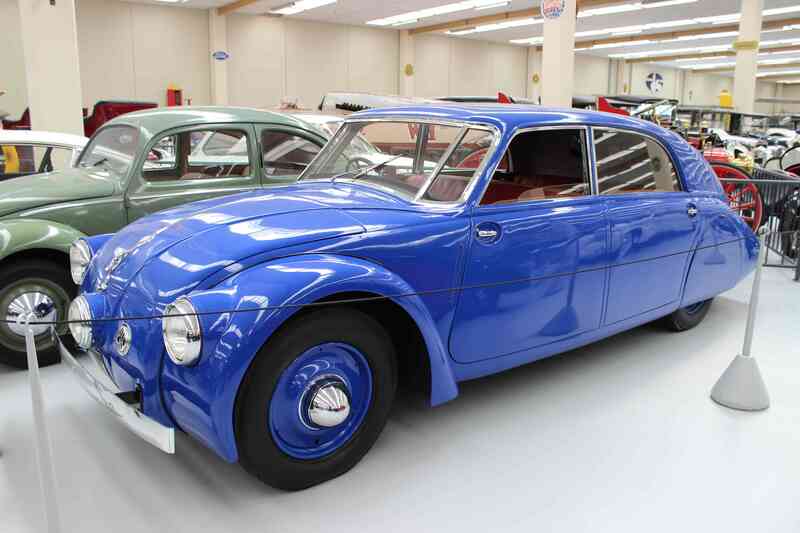 The claim to fame with the T77, is that it’s the first serial-produced truly aerodynamically designed automobile. The car features a rear-mounted “hemi” V8 engine and used large amounts of lightweight magnesium alloy in the construction of this engine, as well as in the transmission, suspension & body of the car. The T77 even had independent rear suspension – something that the Ford Mustang has only just adopted in recent years, haha! 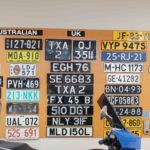 The T77A pictured below was imported from England by the Southward Museum in 1971 and has since been restored in their workshop. A truly spectacular vehicle. The rear wall of the main floor contained a number of high performance Japanese cars, from all makes and marques. 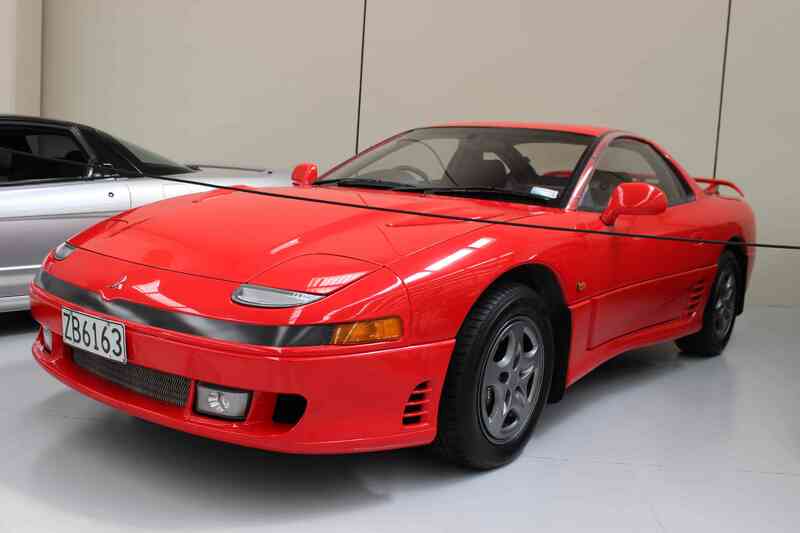 One of my favourites was the Mitsubishi GTO, I always hankered after one of these when I was a young teenager. 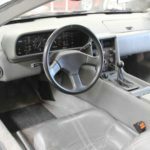 The GTO featured four-wheel drive, four-wheel steering, active aerodynamics (which adjusted the front & rear spoilers) and an adjustable sports exhaust. 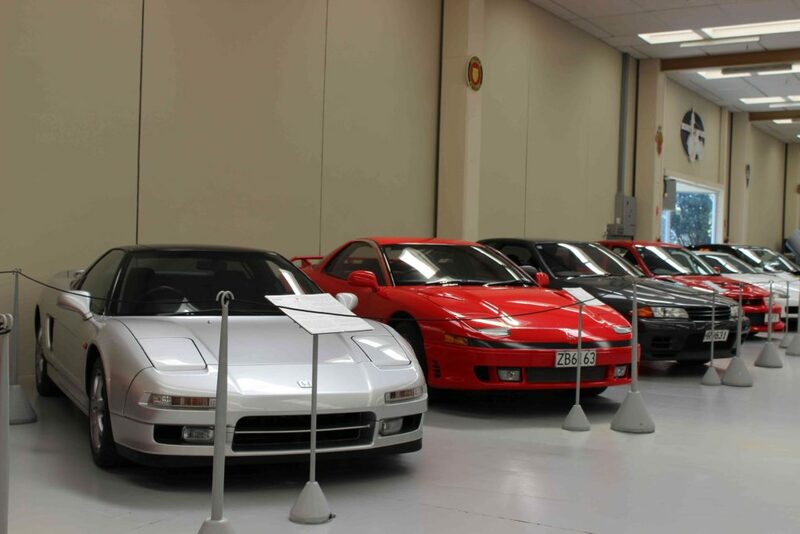 It’s a pity that with the NSX, GTO & Supra, all models on display were automatics. 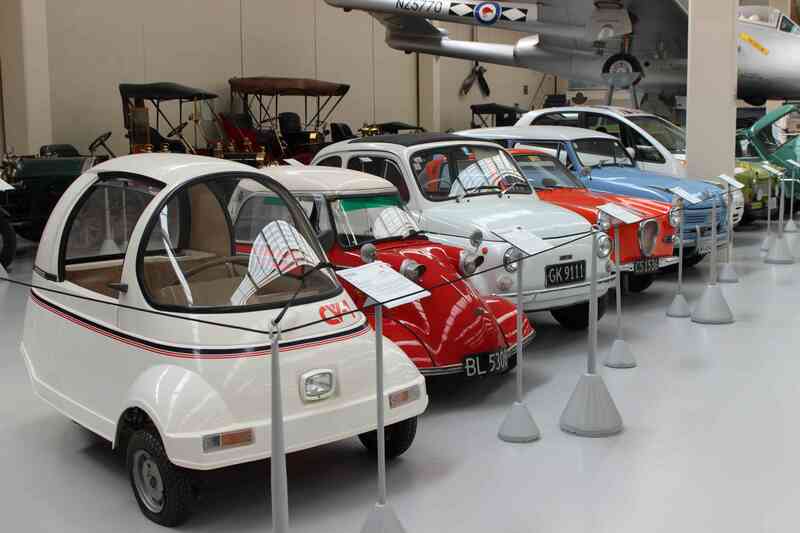 It was good to see that the museum has continued to evolve and is starting to collect vehicles that appeal to both young and old visitors. 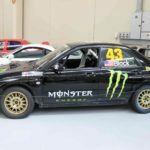 Below are a few shots from the main floor, including the genuine rally car that Ken Block used when he competed in the New Zealand winter rally in 2007. The Subaru Impreza STI (pictured), features factory lightweight items such as thinner door glass and an aluminium boot lid. 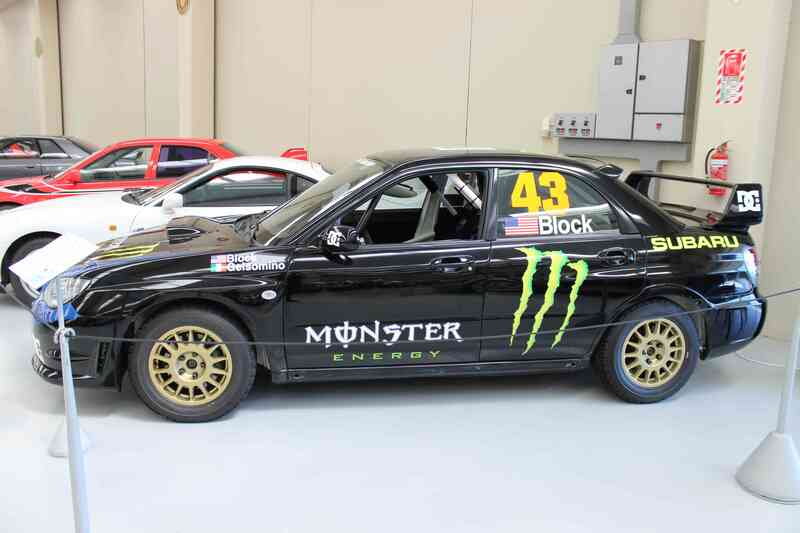 At the completion of the rally, Ken used the car to do some stunts with the DC Shoes snowboard team at Snow Park. During one jump, Ken hit the ramp a bit too fast and over-shot the landing, which cracked his L2 vertebrae and nearly destroyed the car. The next three cars are impressive pieces of machinery from each of the respective companies heydays. They’re the ultimate examples of luxury and extravagance. 1. Luxury and exuberance featured heavily with the Cord 810 Roadster. Featuring a 4.7L V8 engine & 4-speed electrically-selected semi-automatic gearbox, the Cord produced a whopping 125bhp! 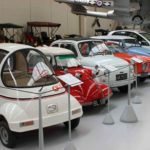 The Cord Corporation set out to produce cars with innovative technologies, believing they would sell well and turn a profit. The Cord 810 was one of the first American cars produced as front-wheel drive. 2. The stunning Chrysler Airflow Sedan, which featured a 4.9L inline 8-cylinder engine and 3-speed manual gearbox. 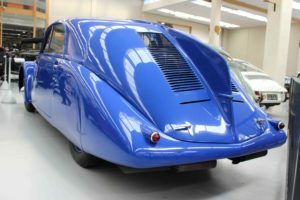 When the car was being designed, Chrysler had a wind tunnel built so that they could test the aerodynamics of the car. 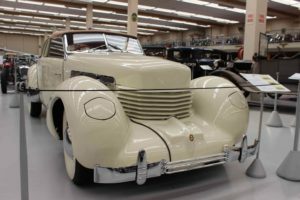 Unfortunately, the car wasn’t a success with the public as nobody was yet ready for such an exotic shape & sales were slow, which eventually led Chrysler to pulling the pin on the Airflow (as well as it’s sister car, the DeSoto Airflow). 3. 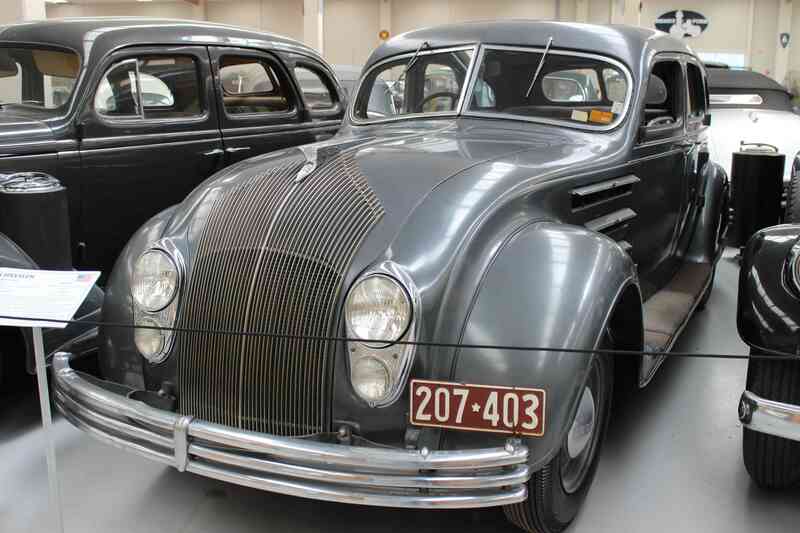 The Lincoln-Zephyr was produced by Ford from 1935-1942. 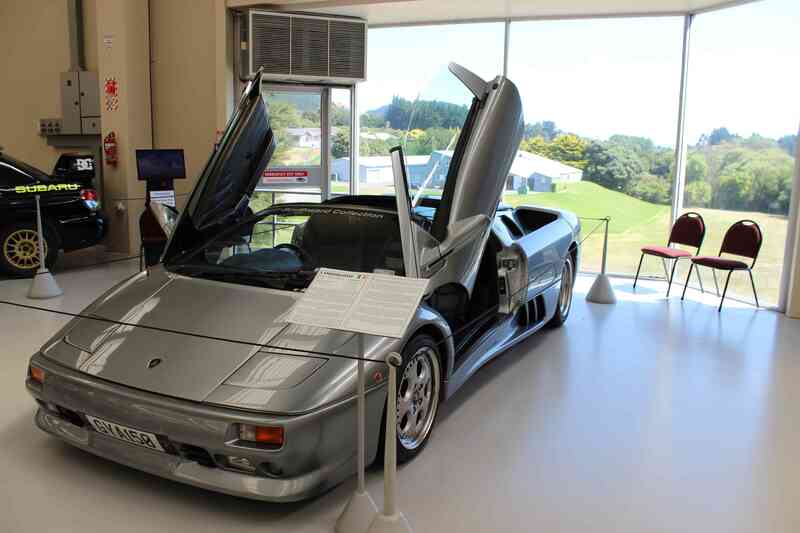 It featured a 4.4L V12 engine and 3-speed manual gearbox, which was capable of 140 kilometers an hour. The Lincoln-Zephyr was one of the first streamlined cars and was produced to compete with the likes of the Chrysler Airflow & actually had a lower coefficient drag than it’s competitor. One of the more unique cars was this interesting looking Dodge Coupe, with the body being made out of copper. 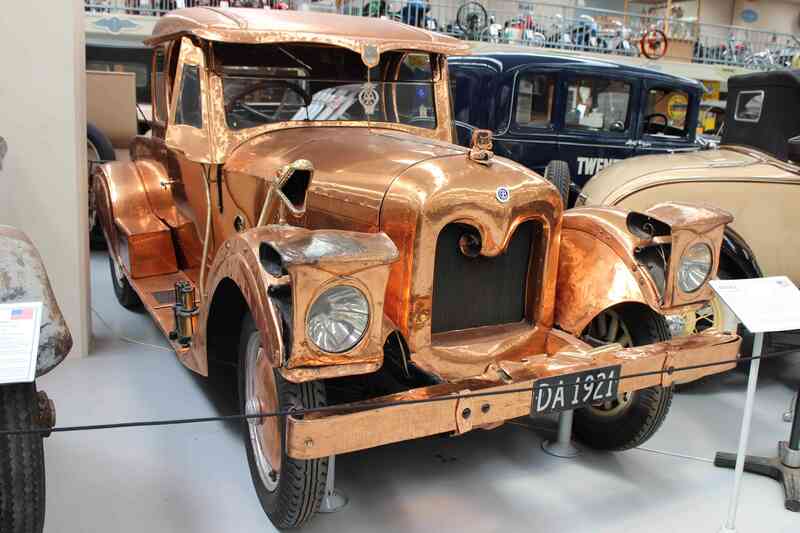 The Dodge is a 1920 and was brought new by Mr Philip Lewis of Auckland, who then transformed the car by adding the new bodywork beaten out of copper and brass. The bodywork took 1,000 hours to complete and the car made its public debut in the Queen Street Christmas Eve parade of 1921 in Auckland. 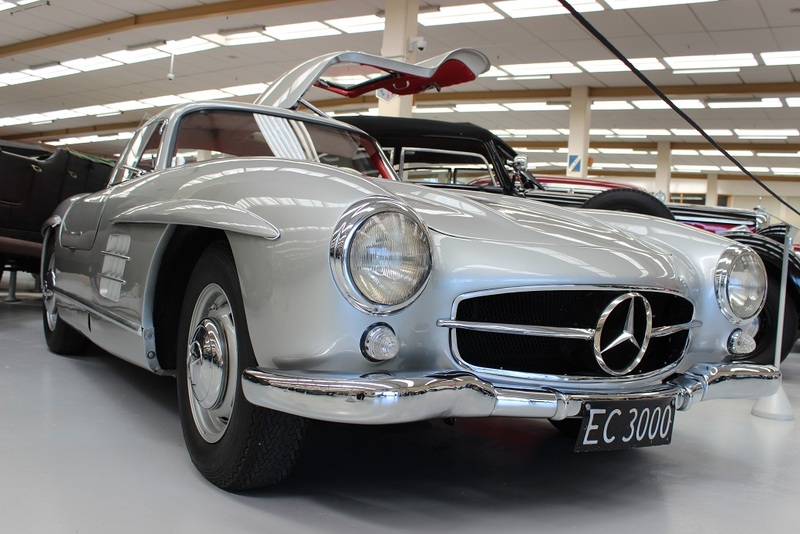 From here, I ventured down to the basement level – where there were another assortment of interesting and varied cars. My favourite car from the basement, the NUS Ro80. 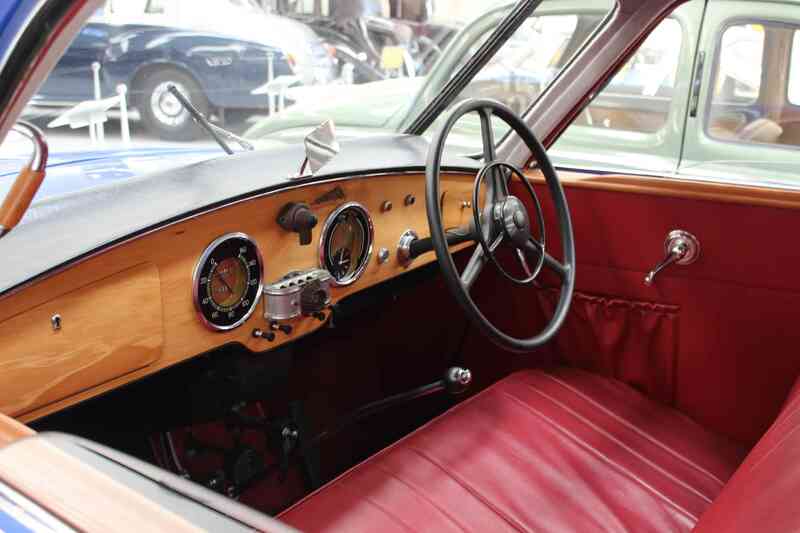 Released in 1967, the Ro80 won many awards, such as car of the year and motoring journalists were showering the brand with praise. 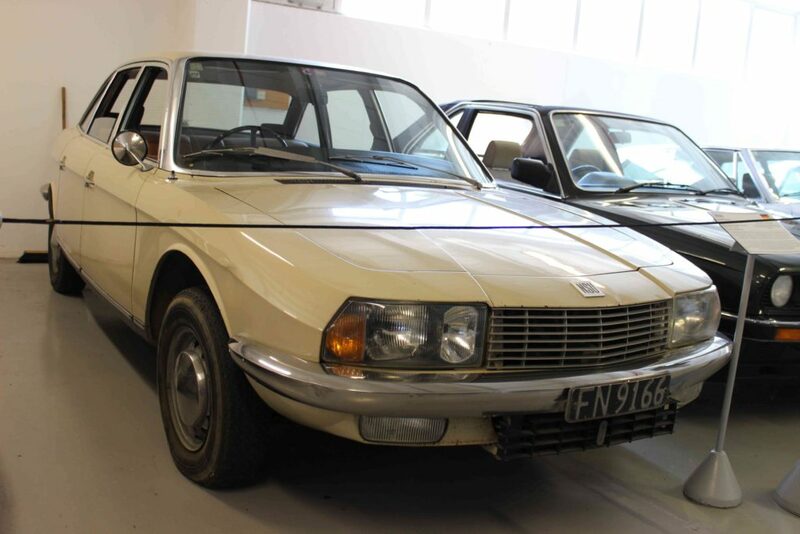 It featured a 1L Wankel (rotary) engine, was front-wheel drive, had four-wheel disc brakes and superb suspension. However, as good as the Ro80 was, it made NSU broke. 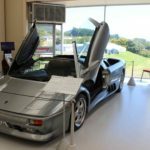 The demand for the Ro80 was so great, that initially, there was a waiting list for potential owners. All of this crumbled though, when the rotary engine began to have a fearsomely short lifespan. 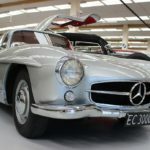 Some engines lasted just days before they’d die, and few cars did more than 50,000 kilometers on their original engines. 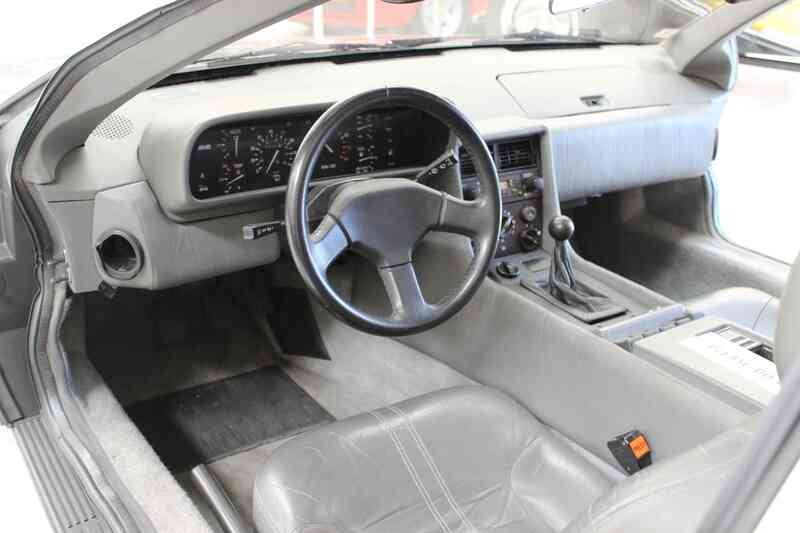 The standing joke was that if you were driving an Ro80 and saw another, you’d not wave, but instead hold up the number of fingers that corresponded to how many engine you’d gone through. 1. 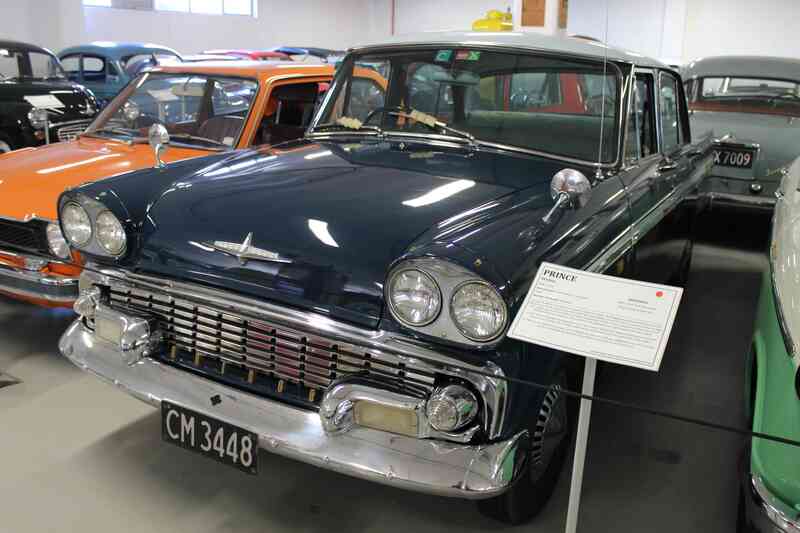 The Japanese Prince Skyline was first launched in 1957, with lots of chrome trim, aiming to look like it’s American counterparts – such as the Chevrolets. 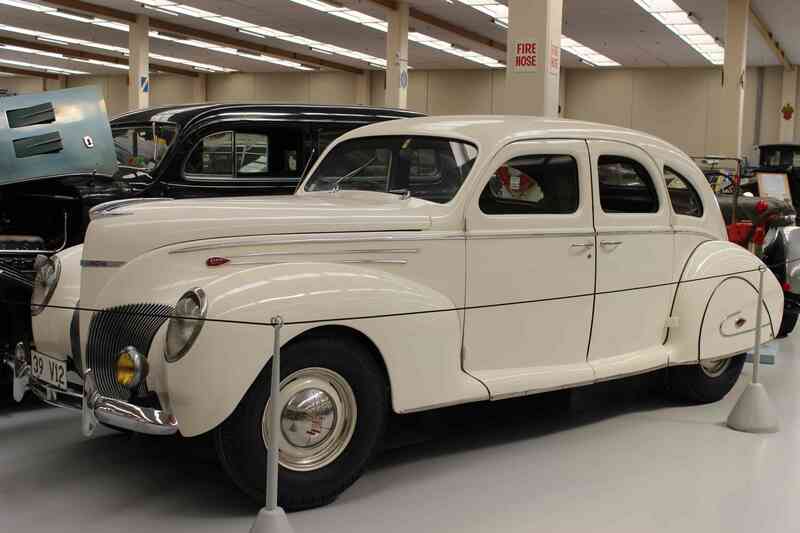 They were also produced as 5-door station wagons. In 1966 the Prince Motor Company merged with Nissan and Nissan has continued to produce the Skyline since – now being one of Nissan’s most famous and loved cars. 2. A car that I’ve nearly brought a couple of times, the Reliant Scimitar. 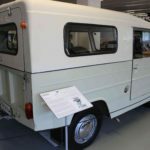 The one pictured is a GTE, which stands for Grand Touring Estate and was designed to be able to transport four adults in high levels of comfort over vast distances, with it’s huge fuel tank. 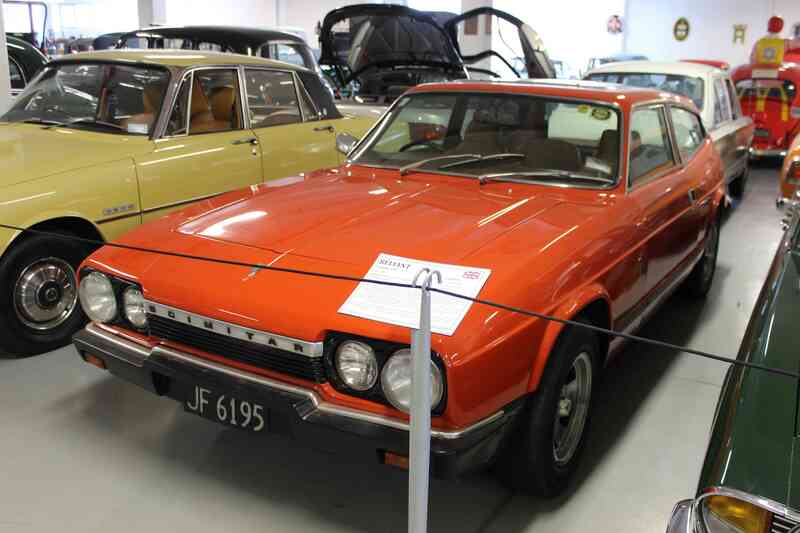 It featured the 3L V6 Ford engine, which was used in cars such as the Capri. 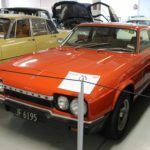 The Scimitar was a light car as it featured a fibreglass body on a steel chassis, making it capable of 0-100kph in 8.6 seconds. That’s still quick, even by today’s standards. 3. 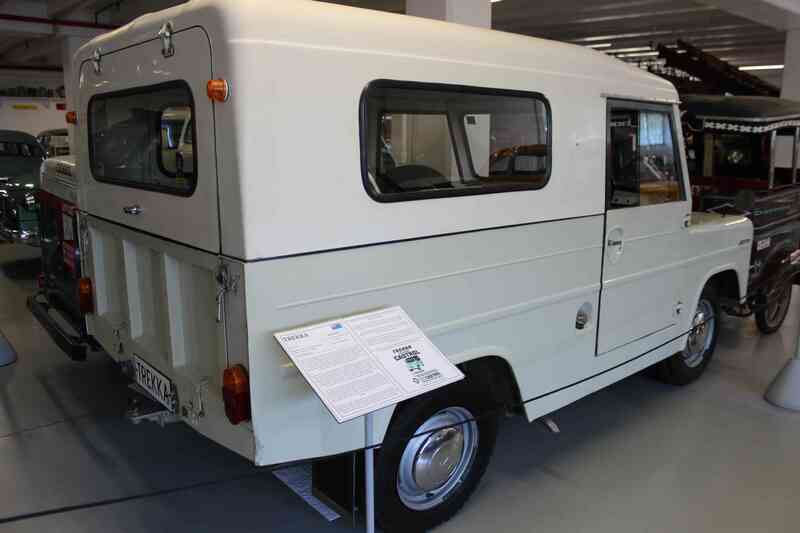 The Trekka, produced by the New Zelaland Motor Holdings company. 2,500 of these were produced and they featured a Skoda Octavia engine and drive train. The Trekka was lauched at the end of 1966 as an agricultural vehicle, but became popular with both rural buyers and urban tradesmen. Production eventually ended in 1973. It’s remembered for the unlikely success of its low quality manufacturing and simple design, which generally suited the purpose for which it was made. The Trekka is the only vehicle designed and manufactured in New Zealand to have entered commercial production for an extended period. 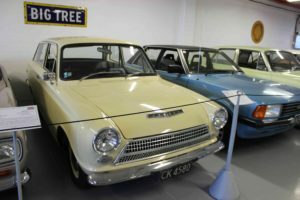 Below is the Ford GT ‘Consul’ Mk1 Cortina. 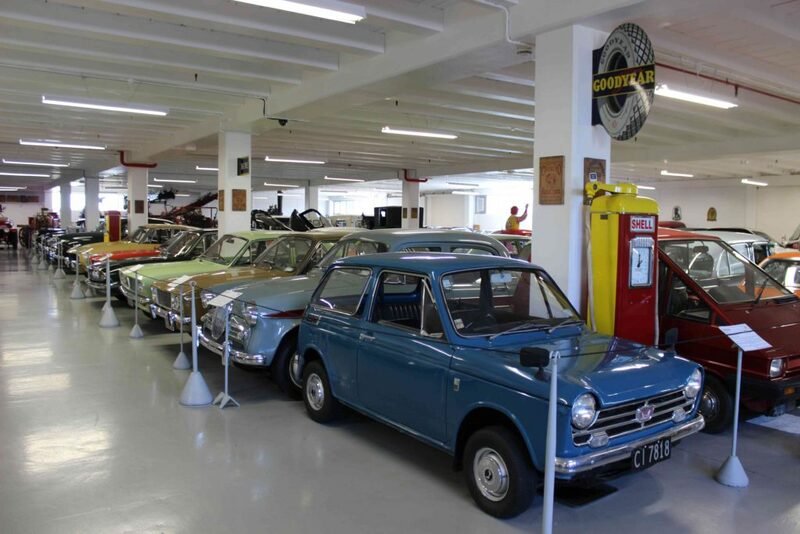 The very first Mk1 Cortinas, were actually Consul Cortinas, which is how you can differentiate the very early cars. 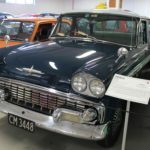 This car was imported by the Ford Motor Company of New Zealand for the Southward Lesco Racing Team to compete in the first 6 hour race at Pukekohe Raceway. 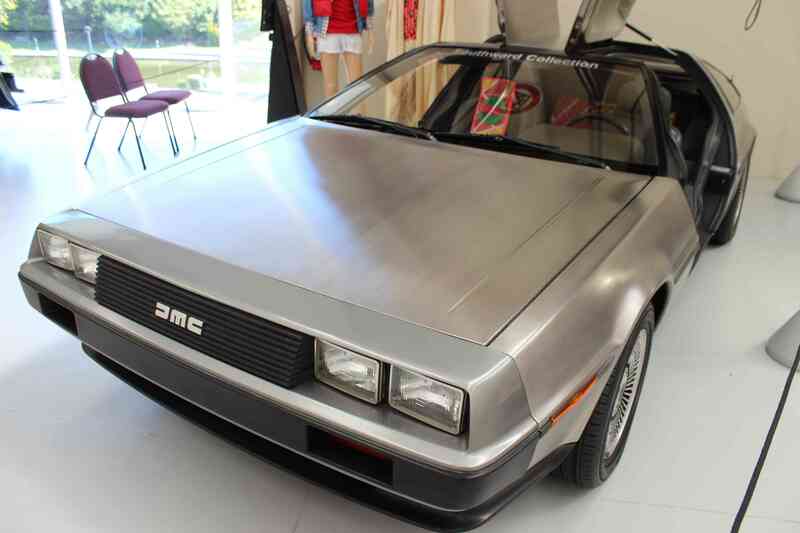 Once imported, it was run in from Monday evening to Saturday morning, clocking up a whopping 4,800 miles! The engine was then completely stripped, checked & reassembled by Frank Hamlin and Kerry Grant and then driven through to Auckland to compete in the race. 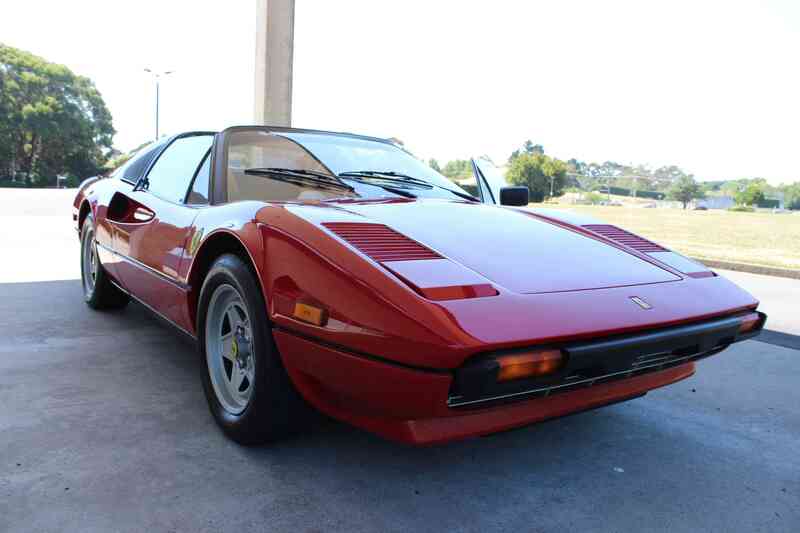 It finished first in the price index and second overall, averaging 63mph. Since then, the car has done over 90,000 miles and hasn’t had the head off since before the race. 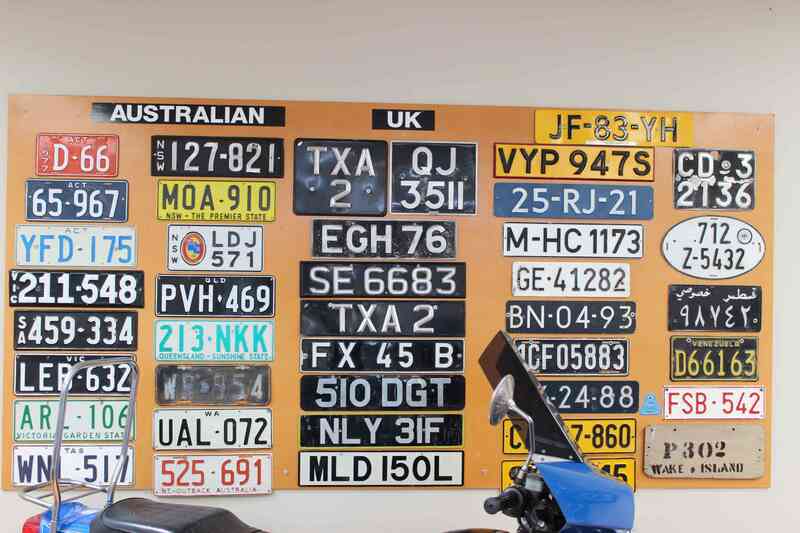 A true piece of Kiwi history. My final pick for the day is the Toyota Sera, which was Toyota’s first entry in the domestic market for novelty cars that was flourishing in Japan in the early 90s. 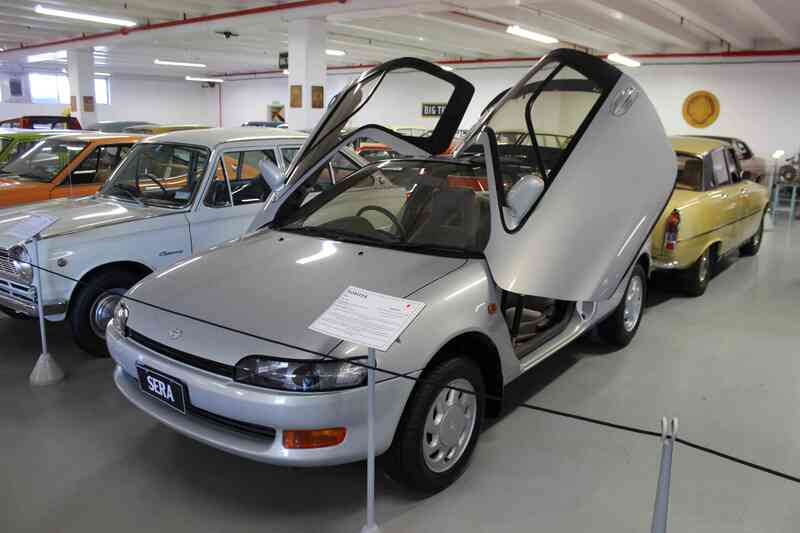 The Sera was based on the Toyota Starlet and featured a 1500cc engine, gull-wing doors and a sleek body. Only 15,000 cars were produced, when Toyota wound up production in 1993. 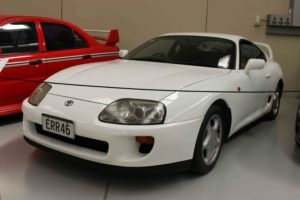 The Sera was never officially imported into New Zealand as it didn’t comply with our safety standard, but this car was imported by Toyota New Zealand to be used a show car and has since been donated to the Southward Museum by Toyota NZ. 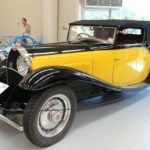 Over the years, a number of private parties have imported cars into the country and every now and then one will come up for sale. A pretty unique car. 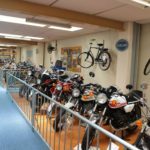 I thoroughly enjoyed my visit through the museum and could have happily spent another few hours wandering around examining all of their exhibits. 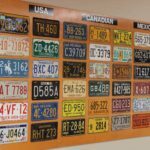 What an incredible collection of cars! 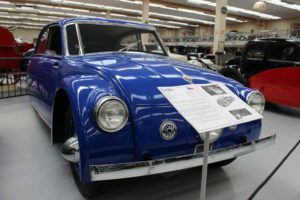 You know I love the NSX and 3000GT, but there were 2 cars in here that really caught my eye: The Lincoln Zephyr and that cute little blue Honda N600. Thanks for sharing this post! The N600 is such a cool little car, I love those rear passenger windows. Have you ever seen the “One Take” that Matt Farah did in the modified N600, that had been fitted with a Honda motorcycle engine? That thing looked like a complete an utter weapon. There were so many good cars on display here that I’m sure there’s plenty of other stuff you would have enjoyed. Hope your week is going well.